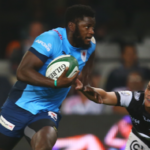 Former Vodacom Bulls and Springbok wing Jamba Ulengo is reportedly exploring the possibility of joining the Kings ahead of the 2019-20 Pro14 season. Jamba Ulengo is attempting to secure a move to the Cheetahs after being omitted from the Bulls 2019 Super Rugby training squad. The ‘Godfather of tendons’ saved Jamba Ulengo’s rugby career, writes MARIETTE ADAMS. 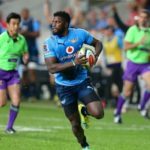 Injured Bulls wing Jamba Ulengo may see a tendon specialist in Switzerland.